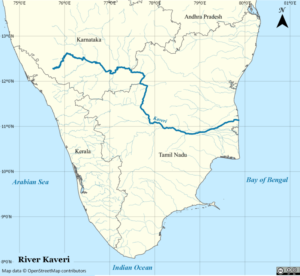 Kaveri river origins at Talakaveri, Kodagu in Karnataka and flows generally south and east through Karnataka and Tamil Nadu and across the southern Deccan plateau through the southeastern lowlands, emptying into the Bay of Bengal through two principal mouths in Poompuhar, Tamilnadu. Rising in southwestern Karnataka, it flows southeast some 800 kilometers to fall into the Bay of Bengal. After the river leaves the Kodagu hills and flows onto the Deccan plateau, it forms two islands, Srirangapatna and Shivanasamudra. First comes the Srirangapatna which forms the sangam and then comes Shivanasamudra. At Shivanasamudra the river drops 98 meters, forming the famous Shivanasamudra Falls known separately as Gagana Chukki and Bhara Chukki. Asia’s first hydroelectric plant (built in 1902) was on Kaveri falls and supplied power to the city of Bangalore. The river enters Tamil Nadu through Dharmapuri district leading to the flat plains where it meanders. It drops into the Hogenakkal Falls just before it arrives in the town of Hogenakkal in Tamil Nadu. 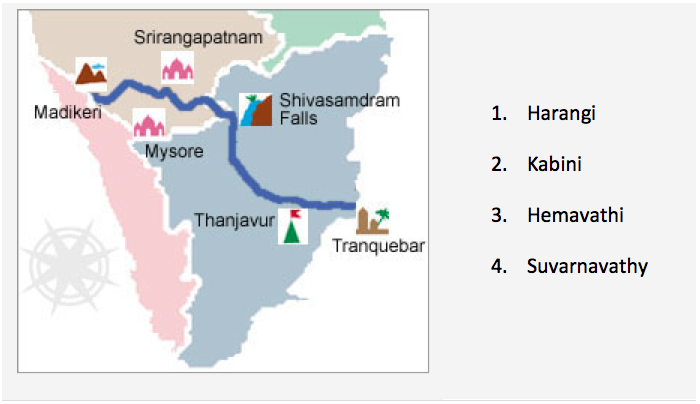 Tributaries of Kaveri include Hemavati River, Laxmanatirtha, Noyyal, Amaravati River, Lokpawni River, Malangi River, Shimsha, Kabini river. The river Cauvery has been shared by the states under 2 agreements – The Interstate agreements of 1892 and 1924. 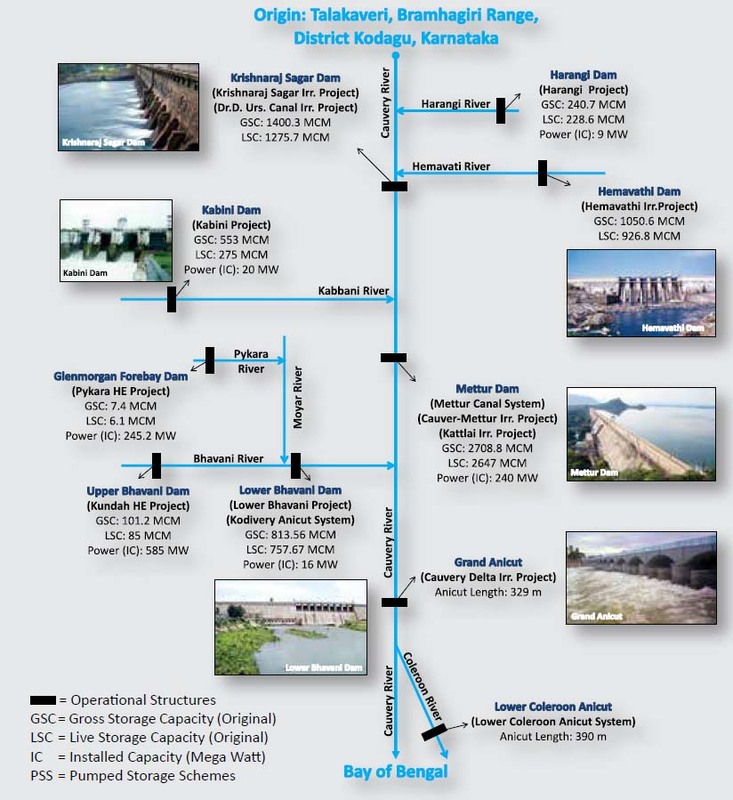 All was well, till the late 1960s when Karnataka wanted to build 4 new reservoirs in the tributaries of Cauvery. The Planning commission did not approve to give funds and neither did the Central government. This diverted some of the water of Cauvery due to which Tamil Nadu protested. It requested the Centre to create a Tribunal. But since the Centre did not create one, Tamil Nadu moved the SC requesting SC to ask to order the centre to create tribunal. Confusion 1: Over creation of Tribunal? Article 262 of the Constitution: Neither the Supreme Court nor any court shall exercise jurisdiction in water dispute between states. Hence, there was protest over SC’s jurisdiction to accept request of Tamil Nadu and direct Center. 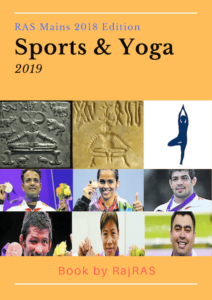 However, SC responded that it can order the Centre to create a Tribunal which it is supposed to do so under the Art.262 and the Interstate Water Disputes Act,1956. 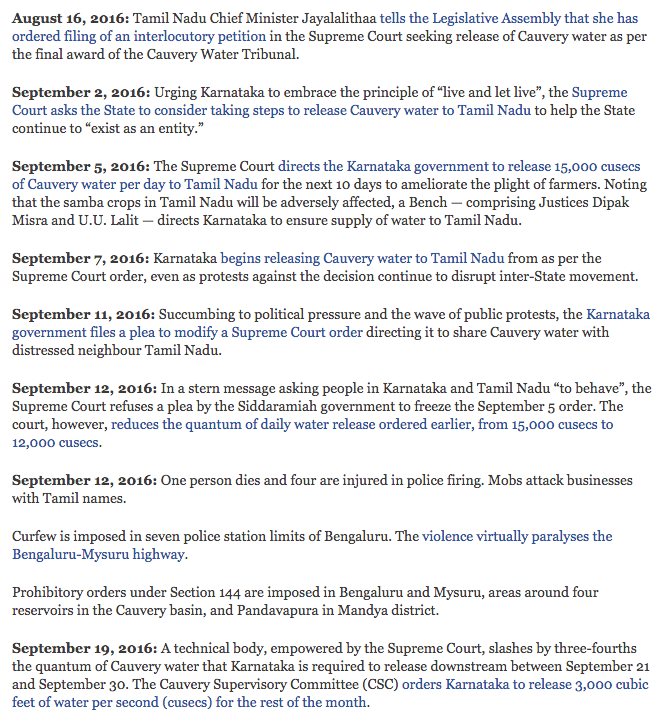 As a result, The Cauvery Water Dispute Tribunal was finally formed in 1990. Heard appeals, arguments. Carried on for years. In 1991 itself, taking into account the long time dispute will take, the CWDT gave an interim order in 1991 itself for the riparian states. To implement this interim measure, the Cauvery River Authority (CRA) and the Cauvery Monitoring Committee (CMC) were formed. Both Karnataka and Tamilnadu contested this CWDT order in the Supreme Court via Special Leave Petitions (SLPs), which are still pending. This prevented the Centre from publishing the CWDT award in the gazette (which means it will implement the award). The CWDT order did not include formula for situations when the flow in Cauvery was low ( drought kind situation). In 2012, Karnataka refused to release water citing reasons of low monsoons and low flow in Kaveri. 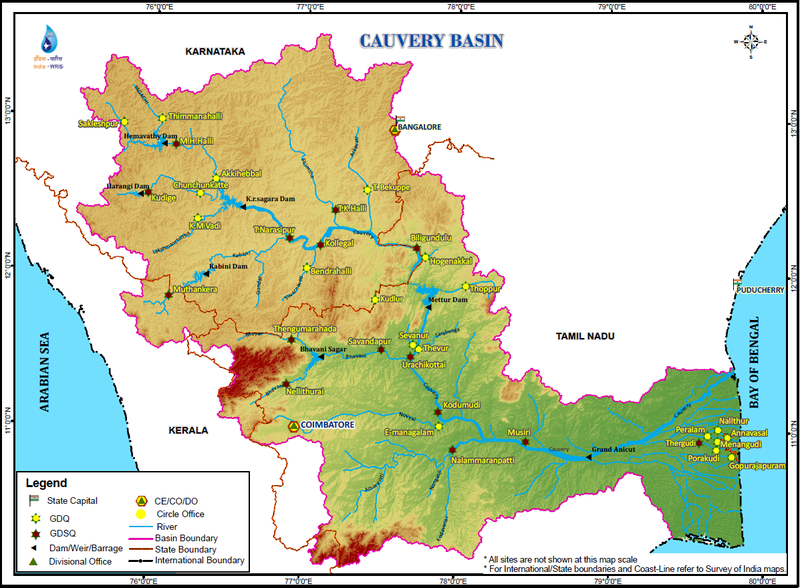 Feb 2013: The Centre notifies the final award of the Cauvery Water Disputes Tribunal (CWDT). The Central government was mandated to constitute the Cauvery Management Board (CMB) simultaneously with the gazette notification of the final award of the Tribunal dated February 19. Delay in formation of CMB, TN moves to SC. Subsequent, litigations follow. One of the primary reason for dispute is that both states have failed to agree to a distress formula in a season of deficit rainfall. There is absence of any mutual engagement to share the shortfall during distress years. Absence of permanent, independent mechanism: The Cauvery Supervisory Committee is a temporary arrangement has a fairly limited operational scope though it was formulated on the directions of Supreme Court when a similar kind of situation prevailed in 2012. 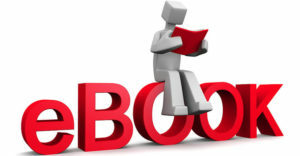 There is a need to have a permanent body which has been recommended by tribunal as well. Irresponsible Media: The way media has presented and blown this issue out of proportion has also led to escalation of emotions without much reason. It has become something more about regional and linguistic identity rather than water or irrigation. Ideally, as stipulated by the Cauvery Water Disputes Tribunal, Cauvery Management Board should look into the technicalities of water sharing which is there to monitor the water flows. These technical aspects have not been taken into consideration in the decision given by the Supreme Court. In the absence of copious monsoons, it looks impossible that both states can be given ‘sufficient’ shares to keep both states happy. 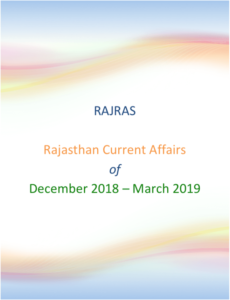 It is of supreme importance for both the states to except the spatial and temporal conditions as gifted and develop alternate sources of water for farmers in both the states. Care should be taken to not let the row affect inter-state relations, because the issue strikes an “emotional note” with the people on both sides. Keeping the interest of farmers on both sides in mind, the governments should initiate a serious dialogue. It is time for Karnataka and Tamil Nadu to take a hard look at their agricultural economies: the area under cultivation, the number of crops per year and the water-intensive nature of the crops. Unless these are adjusted to suit the water availability, such disputes will keep surfacing.